Our top tips on how to get crispy skin without drying out your bird! 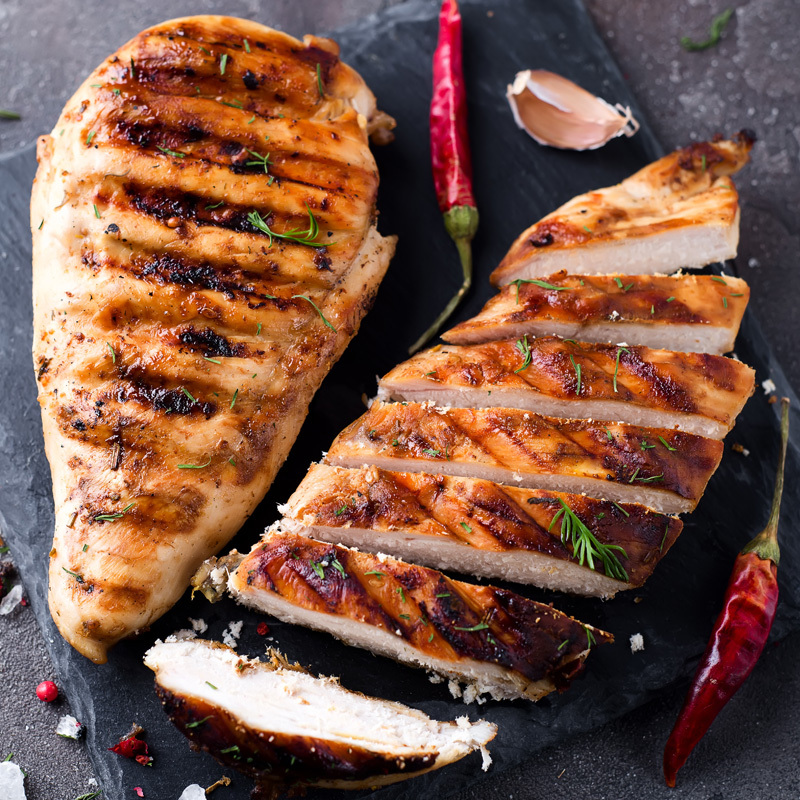 When it comes to roasting poultry – the crispier the skin, the better! But how do you achieve a crispy skin without drying out the meat inside? With these simple steps, you’re on your way to achieving the perfect roast every time – tender and juicy on the inside, crispy on the outside! Begin by patting your bird dry with a paper towel. If you’re cooking a whole bird, be sure to clean out the inside as well as the outside to remove all excess moisture. This is absolutely crucial to achieving crispy skin whether you’re cooking a whole bird or a piece of poultry such as the drumstick or breast. Adding salt is great for removing extra moisture as well as seasoning your bird! Spread over the entire surface of your bird and pat down into the skin firmly to ensure it doesn’t fall off when roasting. You can also add a sprinkle of black pepper and other spices for extra flavour. Next, slide butter or duck fat underneath the skins surface then prick the skin’s surface multiple times with a pin. This technique will cook the poultry from the inside out keeping it moist and flavoursome, while the butter or duck fat oozes out to crisp up the skin. Win win! Once you’ve prepared your poultry, gently place it into your roasting pan and put it in the fridge for a few hours, preferably overnight. When you bird has turned a deeper colour and its skin has tightened due to the removal of moisture, it’s ready to roast! Allow it to rest and bring it back to room temperature before cooking. Now it’s time to cook your bird! 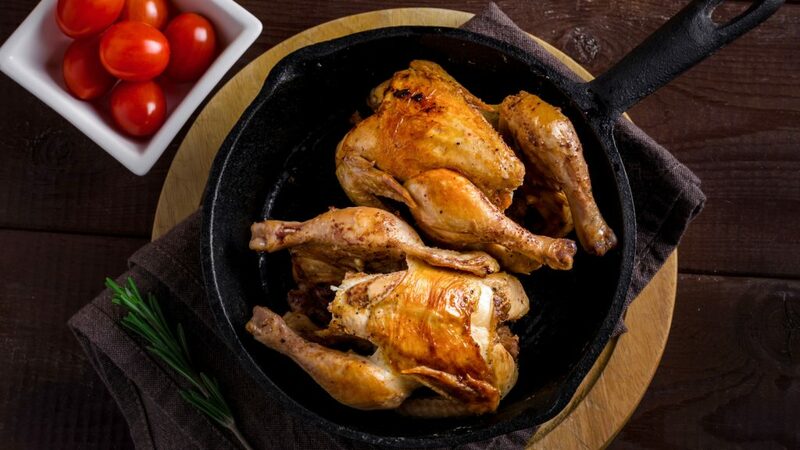 If you have a NEFF steam oven, place your bird onto a universal pan; place onto level 3. The space around your bird ensures good air circulation which is essential to an even consistent cook. Insert meat probe into the breast. Set oven to CircoRoasting 200°C, core temperature 76°C, low steam. The oven will turn off when the core temperature has been reached. This will ensure the roast has the right amount of air flow, moisture and heat for a perfect roast every time. Crispy skin on the outside, succulent and flavoursome meat on the inside.